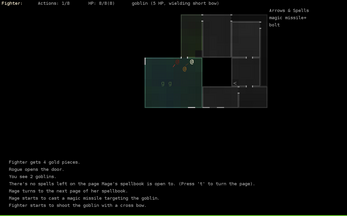 You control a party of three characters in their quest to kill the Goblin King. Meet Rogue, Fighter and Mage. Each of them has strengths you'll have to play to and weaknesses you'll have to work around. 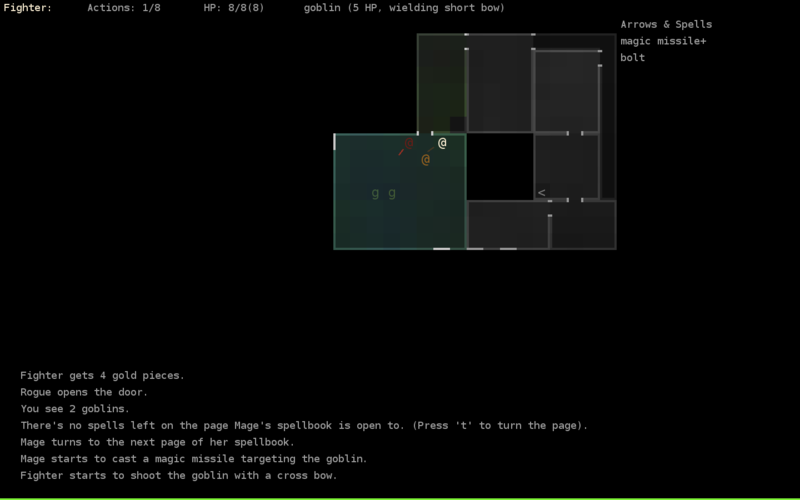 The Goblin Caves are treacherous: full of secrets, traps, monsters and powerful magic. This game was submitted to the 7DRL 2017 challenge. 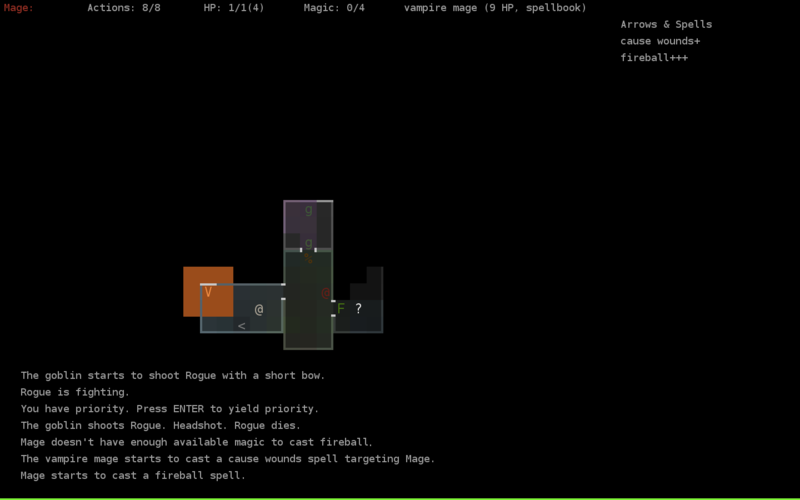 Gain priority and react instantly to your enemy's spells. 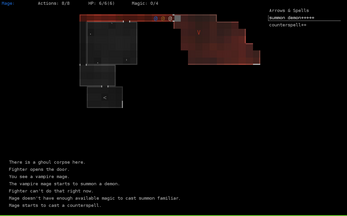 You can win magic duels, or lay down covering fire. 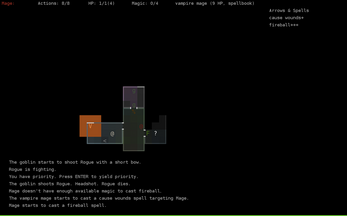 Enjoy all the traditional roguelike goodies: press w to wield your sword, etc. Press TAB to change characters. Press SPACE to end your turn. Press ENTER to resolve pending events. 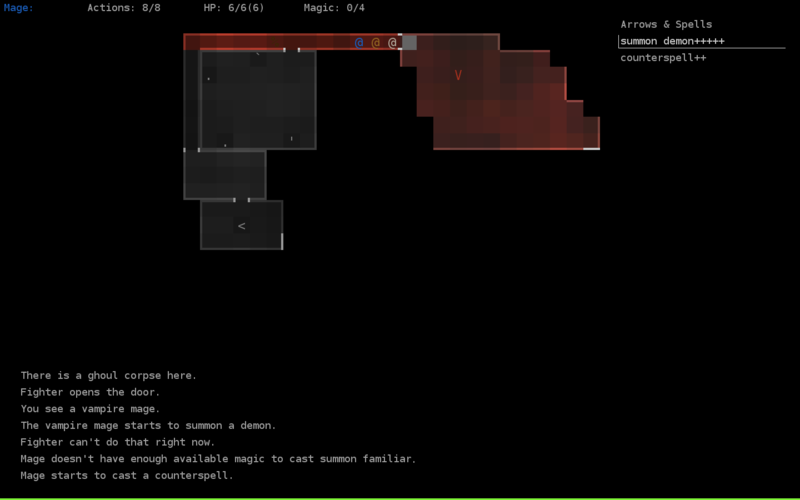 You can shoot (press x), cast spells (press c) and read scrolls (press r) and change characters even if there are pending events. Press and hold ? for help.